Known as the “CHAMP,” or Counter-electronics High-powered Microwave Advanced Missile Project, the American military project is an attempt to develop a device with all the power of a nuclear weapon but without the death and destruction to people and infrastructure that such a weapon causes. 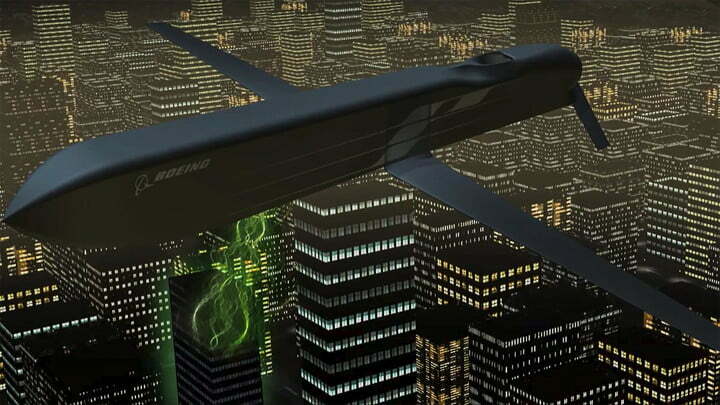 Theoretically, the new missile system would pinpoint buildings and knock out their electrical grids, plunging the target into darkness and general disconnectedness. The project has been in the works for a few years now, and has met with significant success in preliminary trials. In 2012, it was reported that a CHAMP mission in Utah managed to hit and subsequently disable seven separate targets in one mission, demonstrating its accuracy and precision. Indeed, it is this capacity to target individual buildings and not cities at large that makes the new weapon so effective, as it would allow military members to cut off electricity supplies to enemy parties while keeping civilians out of the melee. According to Air Force Research Laboratory commander Major General Tom Masiello, CHAMP is “an operational system already in our tactical air force.” While it appears that the Laboratory has only commissioned five such devices with Boeing, with the Air Force’s recent confirmation of the weapon’s existence, there may be more in the works in the future. Military forces have been actively developing next-generation weapons that take warfare well beyond the guns and rockets that populate modern arsenals. Lasers have been a key area of advancement: Lockheed Martin test fired a laser weapon in March that took out a truck engine from a mile away, while the Navy deployed a Laser Weapon System (LaWS for short) on a vessel in the Persian Gulf in December.